We’re finally on the brink of ‘City at War’, and this issue features the long-awaited spark that lights the fuse of the powderkeg which looks set to decimate the streets of New York and change the lives of our favourite characters forever. 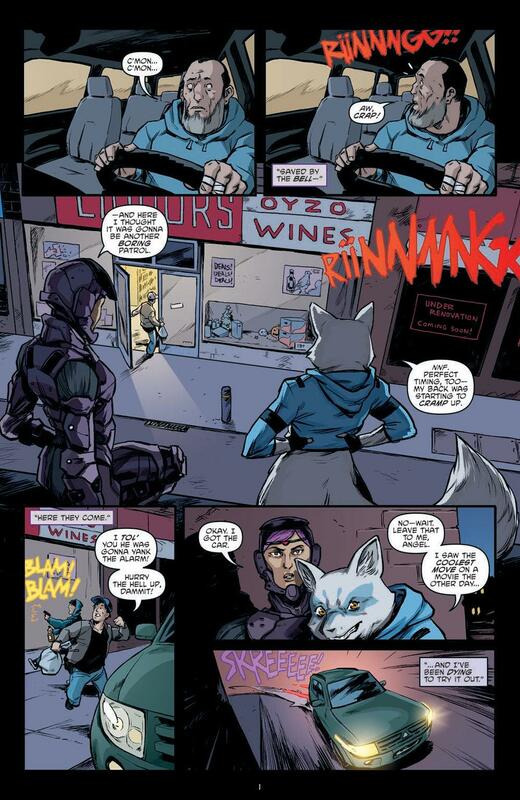 While we may dip in and out of various other subplots along the way (including the long-awaited return of Angel and Alopex), the bulk of this issue is based around the negotiations between Splinter and Karai over the former relinquishing leadership of the Foot Clan. 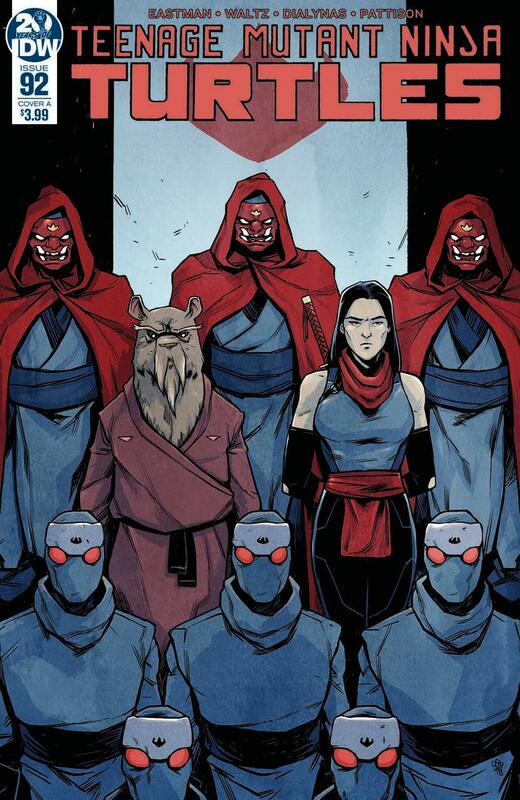 It’s all surprisingly amicable, but given the fact we know things definitely aren’t going to go as smoothly as either party might hope, there’s a real feeling of tension which gradually builds to a crescendo in the final pages. 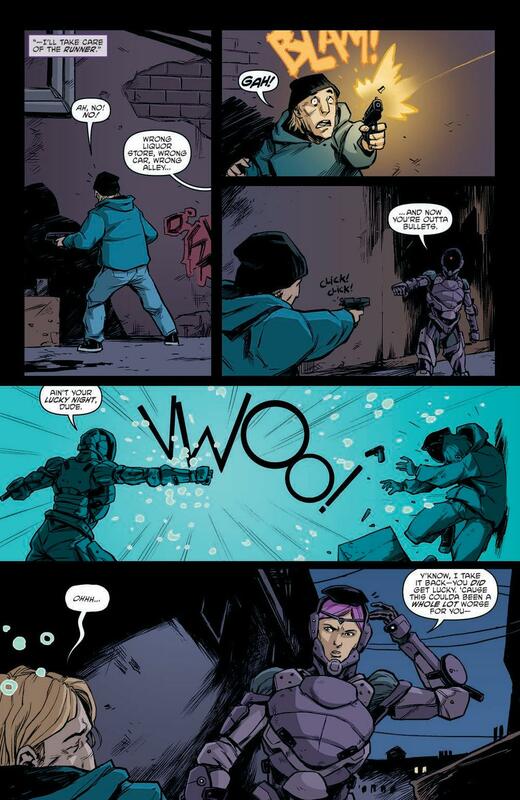 Michael Dialynas continues to cement his place in the upper echelon of TMNT artists with a solid offering here, and while he does a great job with the brief action flurry at the beginning of the issue, it’s his expressive character work in the latter stages of the issue that really helps to sell the story. 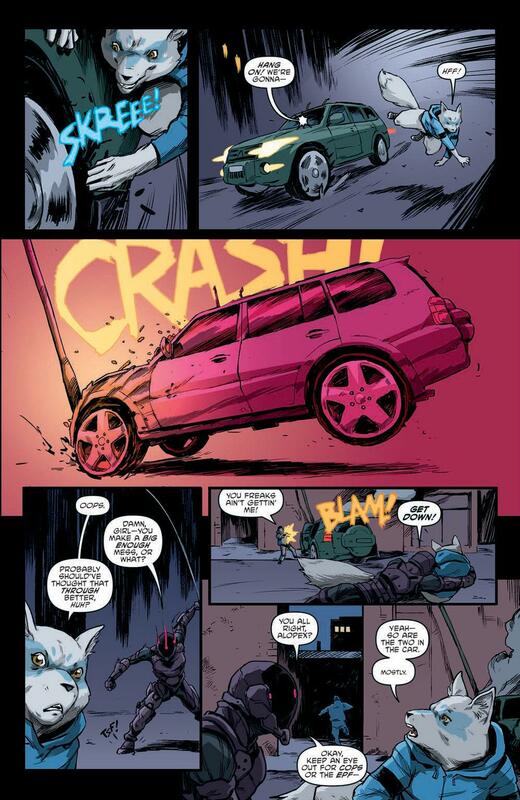 One particular “oh no” moment is flawlessly delivered, with Dialynas working brilliantly alongside colourist Ronda Pattison and letterer Shawn Lee to guarantee almost every reader’s heart will be in their throats. 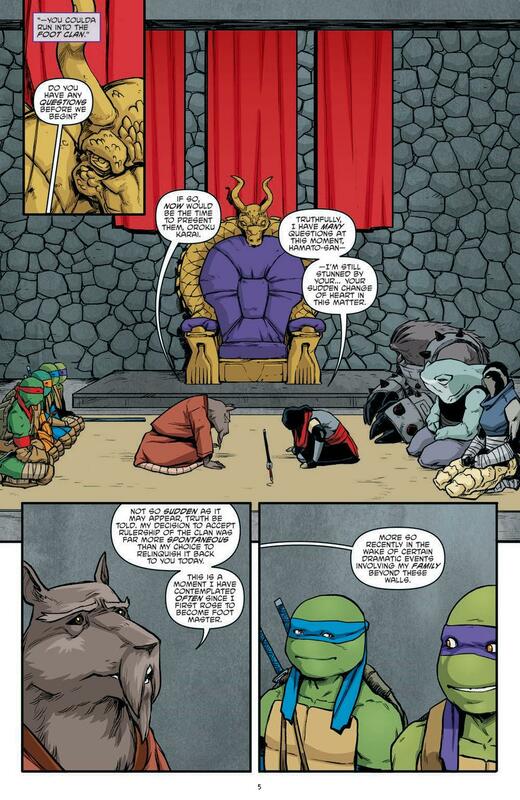 As always, the appeal of IDW’s ongoing TMNT series is the sheer scale of the storytelling on display, and with literally dozens of key characters and factions all embroiled in the same situation, it’s going to be utterly fascinating to see how things unfold as we approach the landmark 100th issue. For instance, this issue only briefly touches upon Baxter Stockman’s storming campaign to become Major of New York, and Agent Bishop’s blossoming partnership with Metalhead, in spite of the fact that these two sub-plots promise to play prominent roles in the arc to come. It’s truly captivating stuff. After several issues of subtle maneuverings and pieces being gently nudged around the board by Eastman, Waltz and Curnow, ‘City at War’ is finally here, and it feels like the creative team are ready to launch a serious attack on the status quo for the remainder of the year. 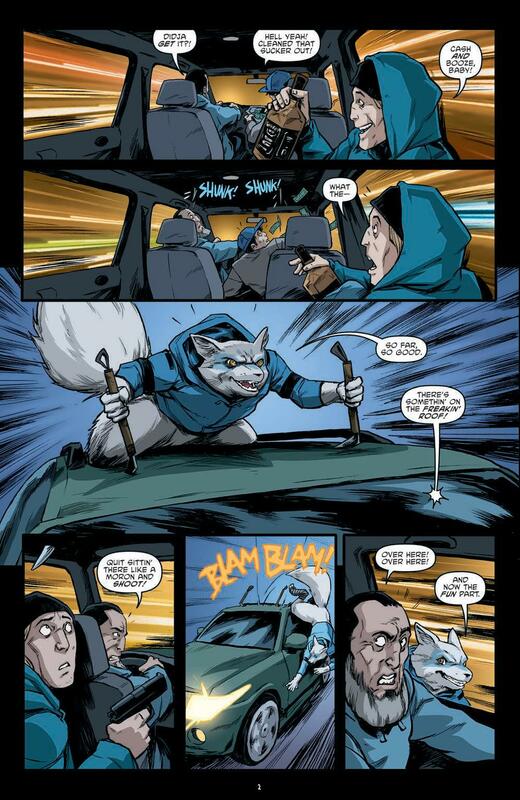 One of the most consistent comics on the shelves today continues to go from strength to strength, and these next eight issues are promising to be an absolute joy to read. Bring on next month!